In the mid-1950s Mr. Andrews, an entrepreneur from the South of England together with his wife started a small enterprise in a basement in Hastings buying jewellery components, soldering them, barreling them and polishing them for onward sale to British jewellery retailers. In 1957 they were joined by an assistant and a young apprentice called Malcolm. 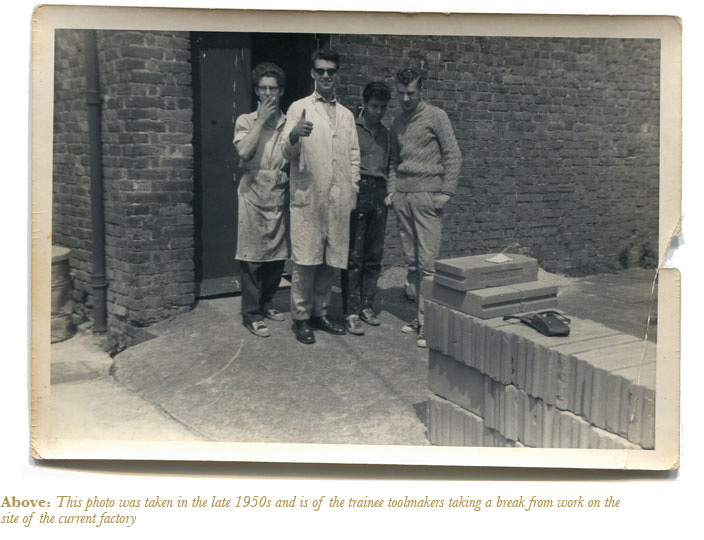 56 years later Malcolm still works here, being an integral part of the modern day tool-shop, with his half-century of learning proving invaluable to both the experienced toolmakers and the young apprentices. 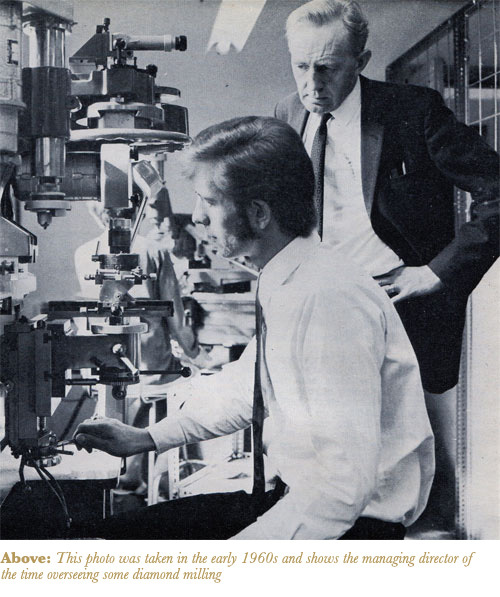 Then, in 1959 Andra Jewels Limited was incorporated, with the name ‘Andra’ being a combination of Mr. Andrews’ and his wife’s name and the business moved to its present site in Hastings. Later that year Mr. Andrews sold his business to three men, Mr. Fraser, Mr. Kirk and Mr. Tajtelbaum. These men continued to operate the business, selling fine jewellery to the Britsh retailers, until 1990 when they sold their business to Mr. Haring and the modern day Andra Jewels was born. Since 1990 Andra Jewels has developed into the UK’s largest manufacturer of fine jewellery, now operating from two 10,000 sq. ft. sites, having added a factory in the jewellery quarter of Birmingham to the site in Hastings. 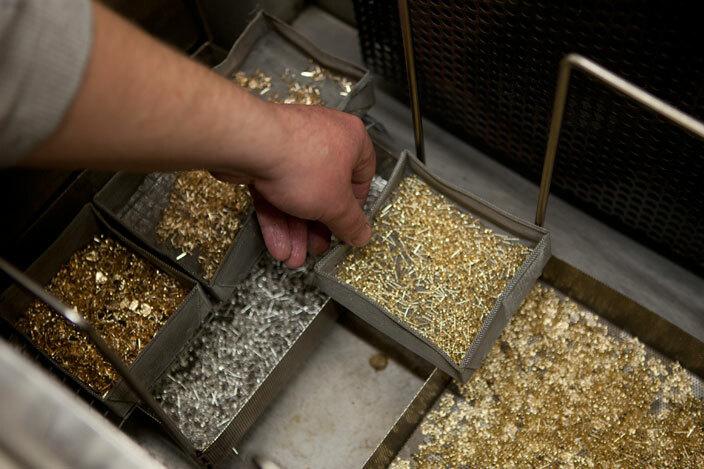 Andra Jewels is the UK’s largest manufacture of gold and silver fine jewellery. We focus on light-weight, stamped, volume selling lines, principally serving the mass-market. We are noted for our innovation and our creativity and this is borne out by the originality of the Andralok™ fitting, which was conceived, designed, engineered and produced in-house, before subsequently being patented. We have a fully operational tool-shop as well as an in-house designer, which enables us to manufacture bespoke ranges and specific pieces for our customers and allows us to be flexible if customers’ needs change. Manufacturing is our core and we produce the following types of (a) product, manufactured from (b) the metals listed below and for (c) the end-users beneath. Ian has 23 years of experience working in the jewellery trade, having previously worked for over 20 years as one of the senior partners at a London-based firm of chartered accountants where he focussed on the music industry, with his major clients including amongst others Frankie Goes to Hollywood and Deacon Blue. Ian holds ultimate responsibility for all aspects of the business, driving product innovation, customer satisfaction and quality control across both Andra Jewels’ sites. Ian is married with two sons and is not only a very keen golfer and a long-suffering Liverpool fan, but also a dedicated follower of most other sports, which includes following the successes and failures of Brighton & Hove Albion FC and Sussex CCC, his hometown’s football and cricket sides. Richard is Ian’s son and has been working full-time for Andra Jewels since 2012, having worked from time-to-time for the company whilst growing up. Richard studied mathematics at university, being the top scholar at Birmingham University and is also a chartered accountant by profession, having trained at the French firm Mazars LLP. Prior to joining Andra Jewels, Richard spent five years working for Inflexion Private Equity, the UK’s top-performing mid-market private equity firm, where he was an assistant director in the portfolio management and optimisation team, holding board level positions at two of Inflexion’s investments, namely Pims Group and Viking Moorings. Richard is responsible for Andra Jewels’ e-commerce and overseas business and supports Ian on product innovation, branding and compliance. Richard is a keen sportsman, playing regular football, cricket and golf and is also an intrepid traveller, where he indulges his other hobbies of cycling and photography. Nigel is an elder-statesman of the jewellery industry, having joined Andra Jewels in 1966 aged 16, working initially as an apprentice toolmaker. Nigel studied for 4 years to obtain his City & Guilds engineering apprenticeship, achieving 3 distinctions and a credit for his work. He then continued his training for a further year specialising in machinery and a final year focussing on tool making processes. Nigel was promoted to foreman in 1980 and then to factory manager in 2001. Nigel met his wife Phil (a supervisor to the soldering team who has worked at Andra Jewels since 1967) at the factory and has been happily married to her since 1971. In keeping with the family theme at Andra Jewels, Nigel and Phil’s nephew Ashley works in the tool shop, their other nephew Joe works in polishing and barreling and their nieces Ashleigh and Kyleigh have other roles within production. Nigel takes responsibility for all manufacturing, tooling and quality control matters arising in the Hastings factory. Nigel enjoys passing his spare time restoring classic cars and motorbikes as well as spending time with his wife, Phil. 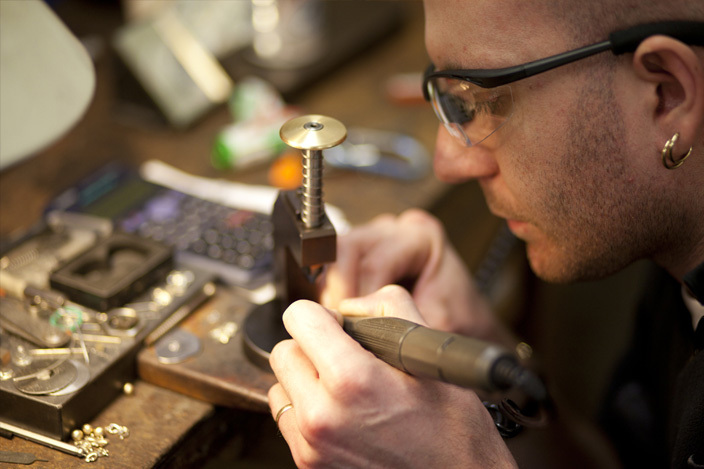 Gary is a third generation jeweller and has been working in the industry for 17 years, having started as an apprentice straight from school, aged 16. Following in a long family history of jewellers, Gary started as a mounter and solderer in the mid-1990s, moving into other areas of production as his career developed. He then added an HNC qualification in business and finance and the tasks of the purchasing manager to his list of responsibilities, before being promoted to his current role of factory manager. Gary takes responsibility for all manufacturing and quality control matters arising in the Birmingham factory. Gary was brought up near Birmingham where he lives with his wife, daughter, cats and dog. He is also a keen football and cricket fan, supporting West Bromwich Albion FC and Worcestershire CCC.